The International Cricket Hall of Fame is the definitive world cricket visitor experience. Live footage from around the world, touch screen interactives, fascinating memorabilia and absorbing stories from cricketing greats – these are just a few of the exhibits that will keep you entertained for hours. 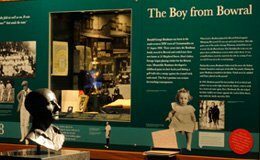 The International Cricket Hall of Fame is set in the beautiful surrounds of Bradman Oval, and includes the Bradman Café and gift store. The International Cricket Hall of Fame currently comprises six galleries. Come and visit the brand new Bradman Gallery and Plot Your Pitch so your picture appears in the high-tech World of Cricket Gallery. Bradman’s first cricket bat from ABC Open Illawarra on Vimeo. Sir Donald Bradman is the only Australian cricketer to receive a knighthood for services to the game. His batting average of 99.94 makes his Test batting achievements nearly twice that of the nearest Test batsman. Find out more about the man behind the bat. Discover the life and accomplishments of The Don in the new, interactive Bradman Gallery. 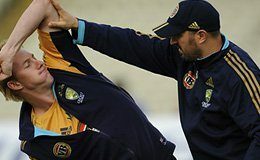 New to cricket? 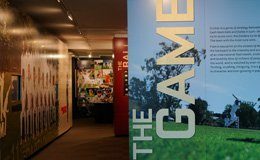 Your first stop in the Bradman Museum and International Cricket Hall of Fame will get you acquainted with the basics of the game. Interactive exhibits help you learn about fielding positions, batting strokes and bowling techniques. 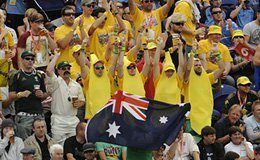 England’s Barmy Army, Australia’s Fanatics, New Zealand’s Beige Brigade… enthusiastic spectators create the wonderful atmosphere at cricket matches. Meet some of the cricket tragics and find out why the game is so important to them. 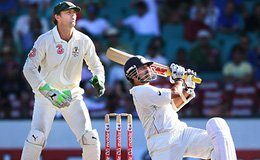 From radio broadcasts with sound effects, through to high-definition live telecasts, the way cricket is delivered to you has changed significantly through the decades, and the game has changed accordingly. Experience how games are captured by the media today, and test your skills as a commentator. Listen to amazing interviews of your favourite cricketers! At any moment of the day there is a game of cricket being played somewhere in the world. 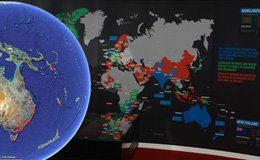 Our large projected map will show current games, and interactive kiosks allow you to check up on your favourite team. Plot Your Pitch and see yourself on the mega-screen in the gallery! How does a bowler cut the ball off the wicket? How hard is it to hit a six? What effect does fast bowling have on leg bones? These questions and more are answered in this section dedicated to the physics of the game. Using memorabilia, photos, statistics and on-demand audio and visual footage, you can review the best players of all time, from all eras. Who is your favourite player? Ricky Ponting, Sachin Tendulkar, Brian Lara or ? Come and check out Michael Clarke’s gloves that he wore during the Sydney Ashes 2012 historic moment of 329 not-out!